Slender plant with a height of 15 to 30 cm and 3 to 8 foliage leaves which are are rather small, lanceolate and unspotted. 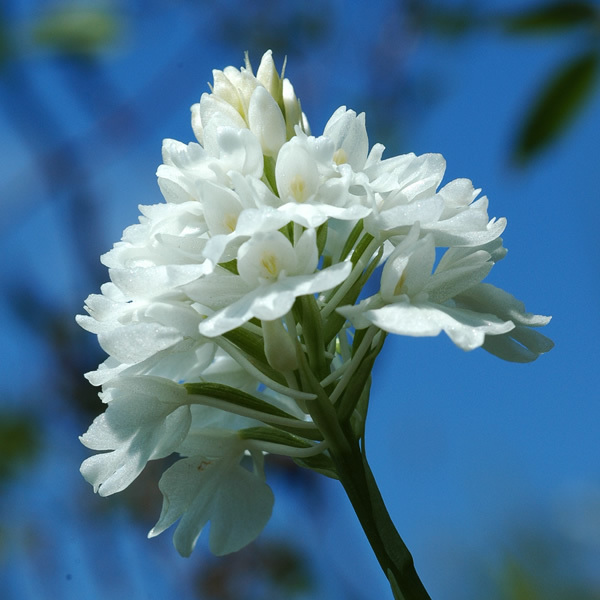 The loose inflorescence consists of 2 to 15 flowers, each one supported by a broad and long bract. The spur is directed downwards. Petals and all sepals form a loose hood, but the sepals can also be spreaded. 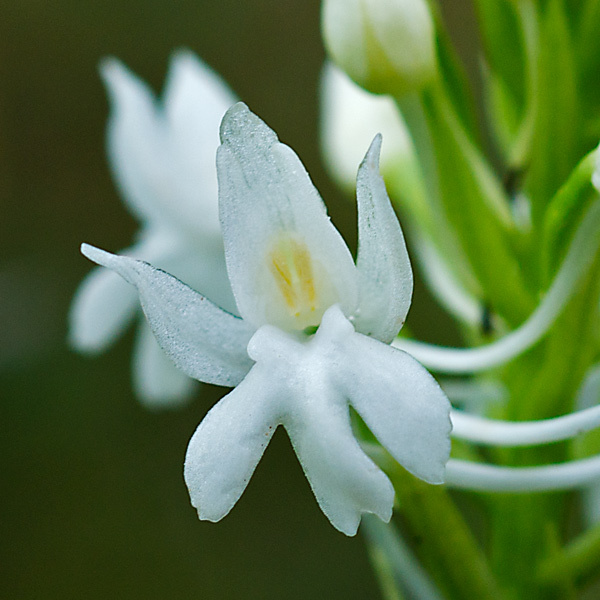 The labellum is almost undivided, ovate and often marked with fine lines. In 1753, Linné described the plant as Anacamptis pyramidalis. The colours of the flower range from bright pink to red and dark crimson. 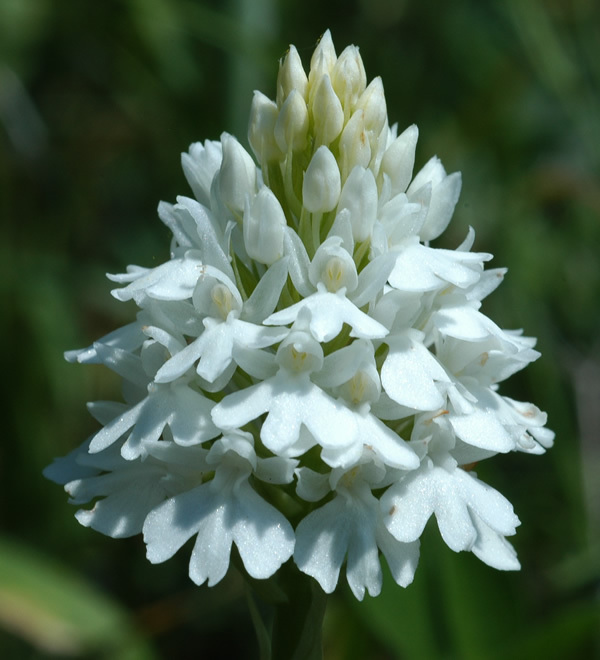 There are white forms with pink veins in petals and sepals as well as albino forms with green veins (Kretzschmar/Eccarius/Dietrich: Die Orchideengattungen Anacamptis, Orchis, Neotinea. p. 154). 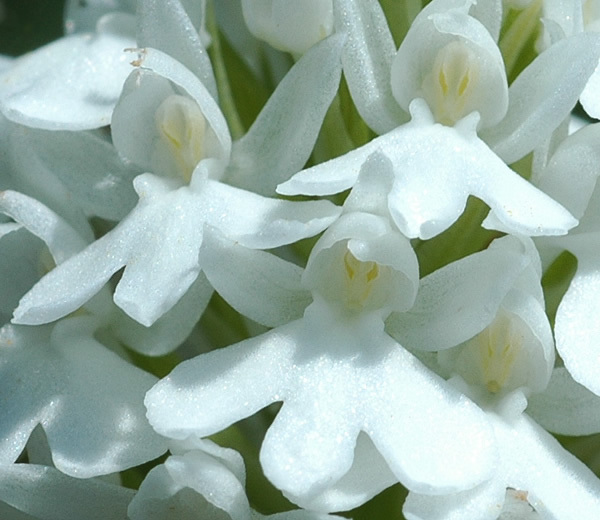 Anacamptis papilionacea is growing in grasslands and bright woods, up to 1800 m. Bloom is from February to May. The species is distributed in Italy, the Southern Balkan and Greece.